Last year, I celebrated my birthday in Bali with my boyfriend (he paid for everything hehe). 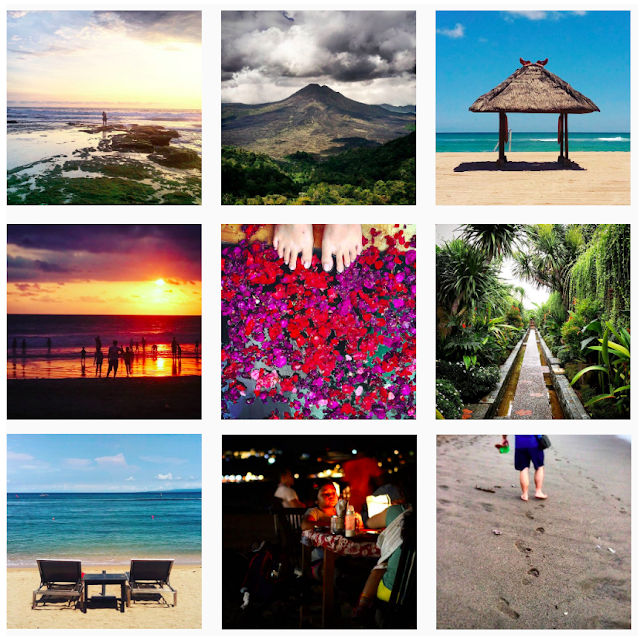 It was a 10D9N trip in Seminyak, Sanur and Ubud. We flew by AirAsia on Christmas Day and came back after New Year's. I really enjoyed it but the travelling in between hotels was tiring. I wish I stayed in Seminyak longer because the beach and villa I stayed in was super beautiful! Sanur was a Balinese Cottage stay with the beach just right behind. New Year's Eve countdown was in Ubud amongst the locals and tourists alike. I wonder this year, where should I go again! I won't want to go in December because it's double to triple the price of normal. I shall go on 1st January instead or 3rd January so it passed the "high peak season". Everyone's going back to work but I'll be whisked off on a romantic beach getaway again with my boyfriend. Should I go to Phuket for the first time? or get lost in paradise before it's gone? So this year I've narrowed my search to Phuket, Krabi or Mauritius. I'll be checking on the flights, hotel stays, sights and attractions by reading reviews. I'll compare my hotel search in Phuket with HotelsCombined.com a site I recently discovered to help me get down to the best deals from all the top travel sites. P.S: My weakness is that I really love luxury resorts, with an amazing bathroom! Ones with jacuzzi or plunging pool would hit the spot. This reminds me of Bali again because Bali has really beautiful villas at great prices. Oh gosh, I am going to be one year older like Bridget Jones.